Building faith in our children is probably one of the most (if not THE most) important duties of parents. And to be honest, it’s not always easy. In fact, sometimes it’s down right hard. The television, movies, music, even our neighbors and family can sometimes be a stumbling block to leading our children to the Lord. They are bombarded by messages like putting yourself first, doing whatever makes you happy, and throwing responsibility to the wind. 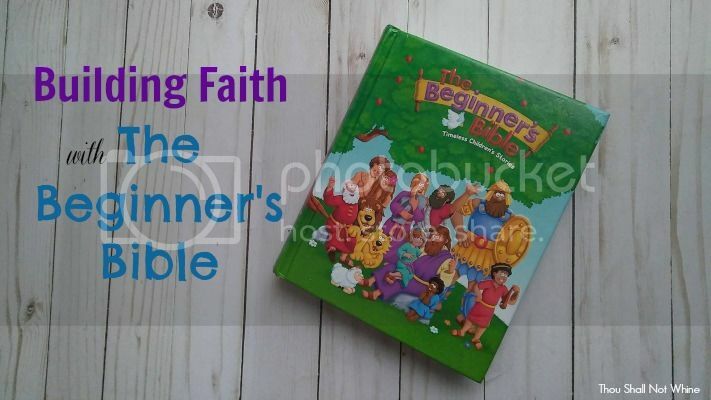 Thankfully, The Beginner’s Bible from Zonderkidz is here to help us with the great opportunity and obligation of teaching our children about Jesus. With six children, ranging in age from 4 months to 17 years, we’ve had our fair share of children’s Bibles in the house. Many had nice pictures and were loved by the children, but were so watered down that I wasn’t a big fan. Other’s were so detailed, with fewer pictures, that the kids had hardly any interest at all. The Beginner’s Bible is the best of both worlds. 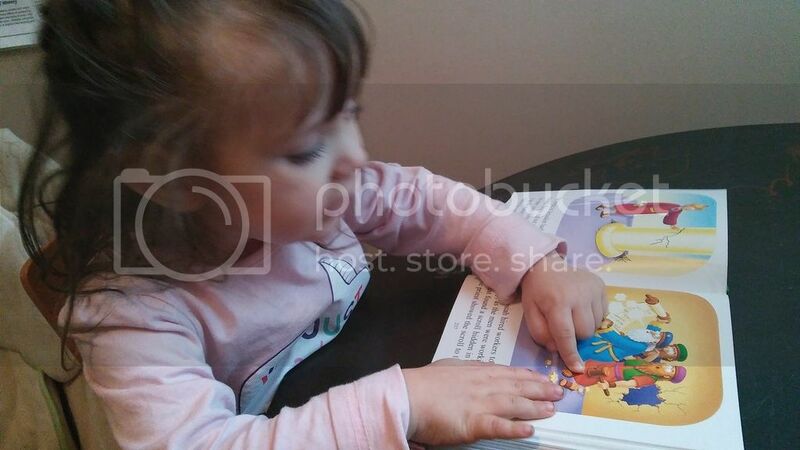 Each page has fun pictures, and the text is perfect for little ones. The stories are well written to the recommended ages of four to eight years, without being dumbed down. Within the fun pages, you’ll find more than 90 stories about God’s love from Genesis to Revelation. There is also a dictionary in the very back that contains simple explanations for words your little one might not know. As soon as I got the Bible from the mail box, the children were all over it. My three (big) littles, ages 2, 4, and 5, love books. We probably read at least a dozen books a day in our home. Between school books, our read alouds, and bedtime stories, our lives are full of literature. So when one or more of them finds a book they especially like, it gets read a lot. 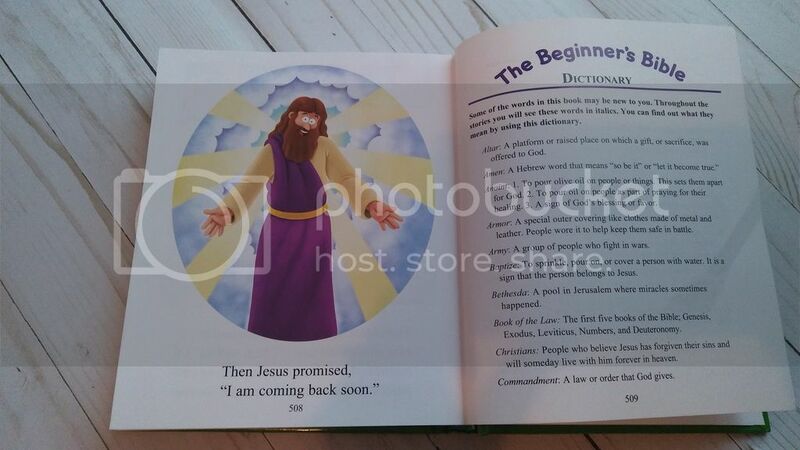 This is exactly what happened with The Beginner’s Bible. We read it at breakfast. We read it before naps. We read it at bedtime. We read it just because one of the kids spotted it! All three of them love this book. They enjoy the fun stories and pictures. I love the biblical truths and meaningful conversations that are had while reading. We’ve talked about the many miracles of God, Jesus’ coming and going, and eventual coming again. Speaking of his coming again- I really like that the last page of the Bible is Jesus’ promise to return. We absolutely adore The Beginner’s Bible. I wouldn’t be surprised if it were through reading this book and the resulting conversations that my children find salvation. 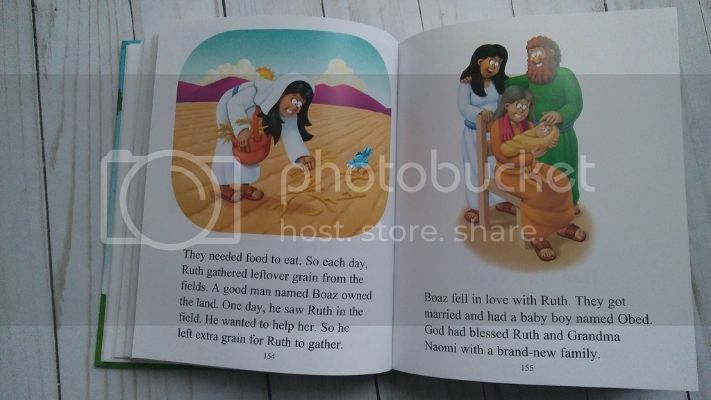 If you only buy one children’s Bible, make it this one. You and your children will love it. Zonderkids has also made a Deluxe Edition that includes two audio CDs enhanced narration, music, and sound effects that help bring the stories to life. And if you want even more awesomeness, there is now a Collector’s Edition that includes a slipcase, audio CDs, and animated videos of all 94 stories.